- Create and start a Hotspot with custom name and password. - Create and start a Fake Hotspot with the name of a existing Hotspot to knock it out. Trick: If a user want to create a fake hotspot or knock any router on the network just name the hotspot with the same SSID (Including Caps). Any device that tries to connect to the network with the other router password will have their authentication failed. Shodan IP Check is a simple script that verifies a IP against Shodan list. To use is quite simple, execute the html file and enter the IP to check. - If the IP exists a few seconds later a message will popup with the IP, Port, ISP, City, Country and Fingerprint. - If the IP doesn't exist then the message "Refresh the page to make a new scan" will show. Note: It's possible to make searches with Shodan IP Check but this is not what this script was made for. I was digging online results. When i found this presentation that mention me. A little demonstration of Email SPAM Prank 3.9 Private EXE Version. Ask any question about hacking or cracking. Generate code to execute in Acceder.gratis. 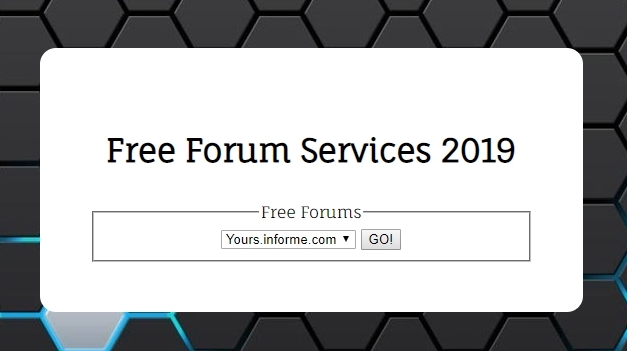 Free Forum Services 2019 is a list of sites where a user can register for free a small forum. G Movies is a search engine to look for movies. Version 3 comes with some bugs fixed and new streaming sites. 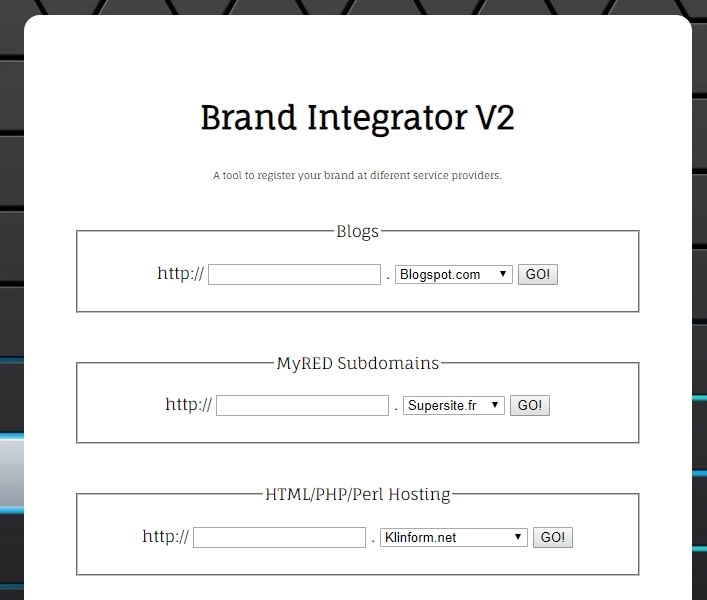 Brand Integrator is a tool to register brand names in diferent service providers. Currently it can register brand names in blogs services, subdomains services, hosting services, url shorteners and forum services.